Sergio Perez reckons there are no longer “slow teams” in F1’s midfield order heading into 2019. Sergio Perez believes there are no longer any “slow teams” in Formula 1’s midfield pack heading into the 2019 season. F1 looks set for another hotly-contested midfield battle this year following a closely-fought 2018, with the likes of Alfa Romeo and Toro Rosso raising some eyebrows during the opening pre-season test in Barcelona. Both teams showed promising pace and reliability in the opening week of running as they occupied the top of the timesheets on the third day of running from the first week of action. Asked for his assessment of whether the pecking order has changed at all over the winter, the Racing Point driver replied: “They have probably. “I was expecting Alfa Romeo to be very strong in the midfield, the Renaults, the Toro Rosso’s - I think there are not slow teams anymore. “Any team can be a big surprise right now. “To be honest I haven’t looked at it [the times]. At the moment we’re just focusing on our thing. “We know testing, how it can be sometimes, you know, but certainly there are some good surprises around. 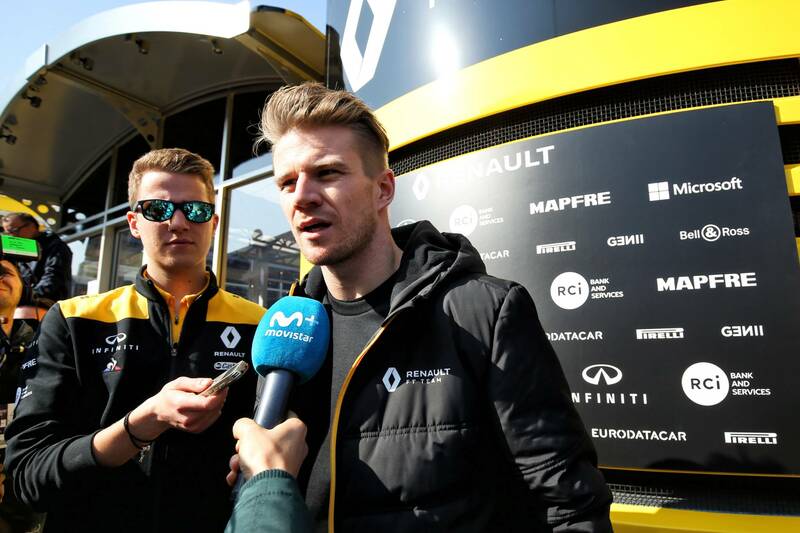 Last year’s midfield leaders Renault also enjoyed a solid first test, but Nico Hulkenberg - who set the fastest lap time seen in testing so far - insisted he is “not concerned” about the apparent improved form of the team’s rival. “I think we are aware that competition is around and competition is tight,” Hulkenberg explained. “I find it interesting as every year people say the midfield is as tight as ever but it is always tight, it is always competitive - I’ve pretty much spent my entire career in the midfield so I know about it! “We just need to make sure we stay on top of things, we come through with the development that we expect from us, a big factory team. “But for sure Alfa look strong, Haas look strong, Racing Point, there are good teams out there that we’re also up against.